Update: Microsoft is pushing out a new Windows 10 Insider preview build 15019 for PC. The latest Windows 10 Creators Update (Redstone 2) PC build 15019 is now available for fast ring insiders. Blue light is now night light: Insider team made some improvements in the range of color temperatures in the night light feature and fixed a few issues. 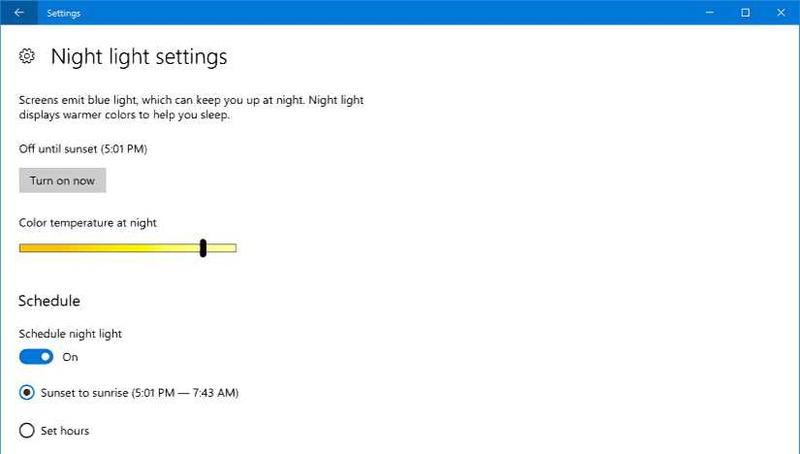 You can enable Night Light via Settings > System > Display. 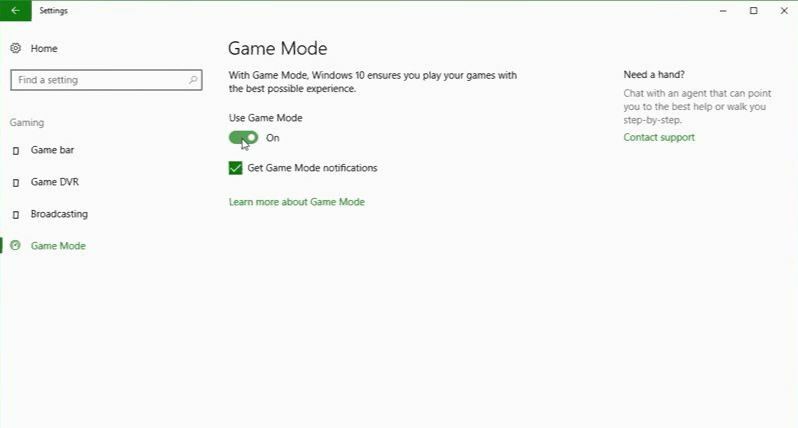 Windows 10 insider build 15019 also fixed an issue where waking your device from sleep or connecting a new monitor would not have the night light setting applied correctly. Improved high-DPI support for ITPros: Previously, Microsoft launched new option to override a GDI-based app’s high DPI scaling with our own System (Enhanced) scaling in build 15002. With Insider preview build 15019, System (Enhanced) application compatibility setting will now also available to be enabled or disabled via the Windows ADK for IT Professionals. 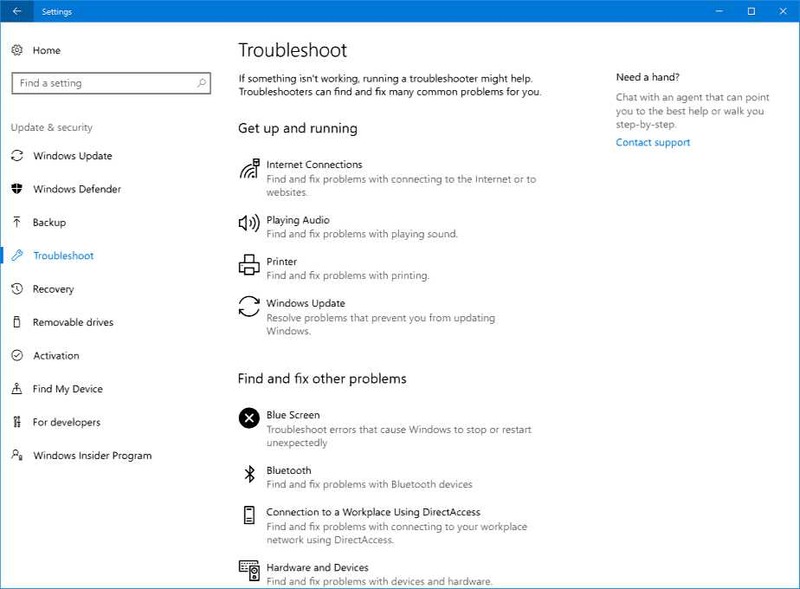 Improved discovery for Troubleshooters: T Windows Insider team is rolling out newly refreshed troubleshooting settings. can find and fix many common problems for you. 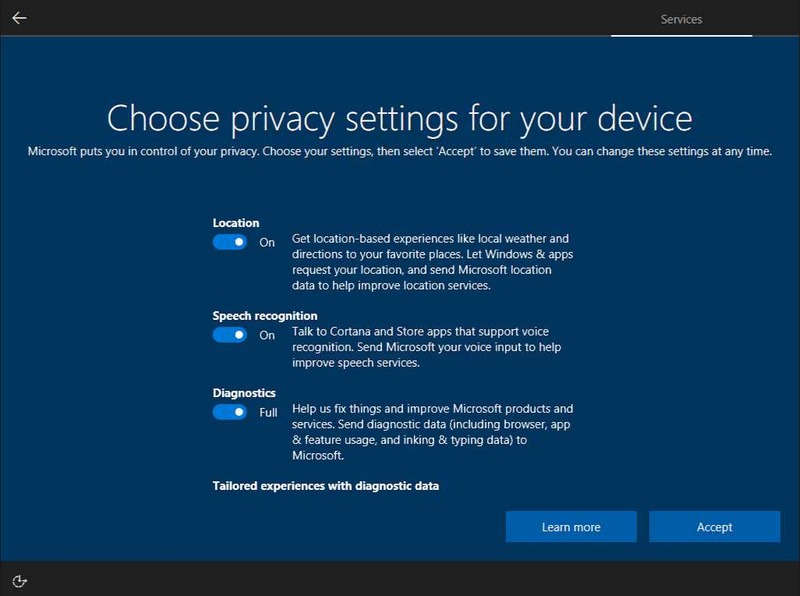 With Build 15019, the new Troubleshooters section of Control Panel has been migrated into Settings. Head to Settings > Update & security > Troubleshoot. The Action Center may sometimes appear blank and transparent without color. If you encounter this, try moving the taskbar to a different location on the screen. Original Story: Microsoft is now testing Windows 10 insider build 15019 for PC and build 10.0.15019.1000 for mobile devices internally. 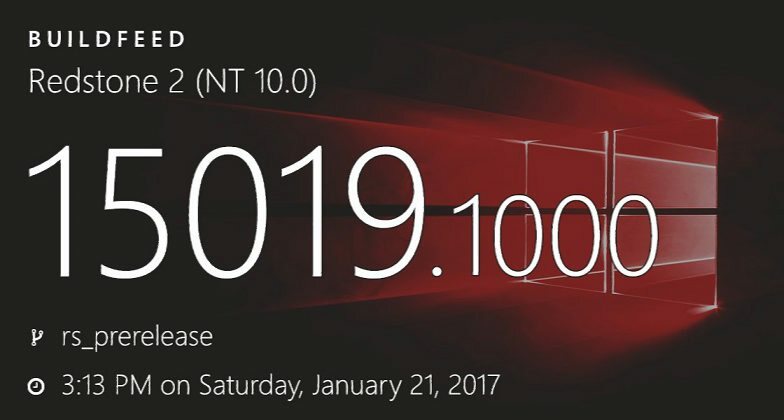 The new Windows 10 Creators Update Insider build 15019.1000 is compiled on January 17. Microsoft is also testing Windows 10 cumulative update build 14393.805 for PC and mobile build 10.0.14393.805. 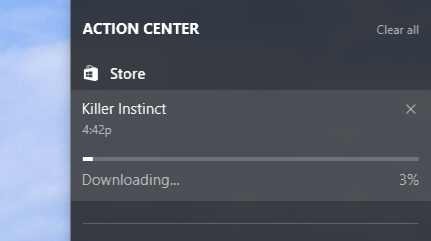 The company is now rolling out a new Xbox Preview build 1703.170118-1900 for insider members. The new Xbox Preview build brings many new features for Creators Update. For more details check it out here.